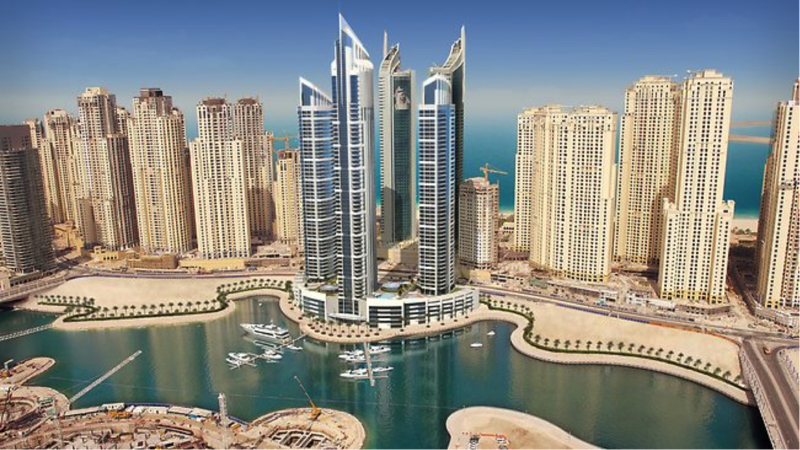 An artist's impression of Bay Central development on Dubai Marina where the InterContinental hotel will open in 2013. YOU won't want to leave your room in these award-winning digs, writes Angela Saurine. LOCATED in London's tallest building, The Shard, the Shangri-La will have impressive views of the city's skyline. The luxurious hotel will occupy Levels 34 to 52 of Renzo Piano's distinctive tower, which is regarded as one of the most ambitious in Europe. Its 185 deluxe guestrooms, averaging more than 42sq m each, will be among the largest in London, and there are another 17 suites. Rooms include beds with body-contouring technology, designer LCD televisions and hi-fi equipment. As well as an infinity pool and fitness centre, the hotel will feature a specialty restaurant, lobby lounge and bar and a "food theatre" cafe with several cooking stations serving cuisine with "a dash of drama". ADOPTING the "garden in a hotel" concept, the Parkroyal on Pickering has won a swag of accolades before it has even opened. Designed by award-winning architectural firm WOHA, the 367-room hotel aims to be an urban oasis in downtown Singapore. Its sustainable design and green efforts have already earned it Singapore's highest green rating - the Building and Construction Authority Green Mark Platinum award - as well as the Solar Pioneer Award for its innovative solar energy system. The hotel will be close to bars and restaurants along the Singapore River. After a "soft" opening this year, it is scheduled to have a grand opening early next year. WITH a rooftop bar and infinity-edge glass-bottomed pool, the Hotel Indigo Hong Kong Island will be a dramatic addition to Hong Kong's diverse and historic Wan Chai neighbourhood. Part of Intercontinental Hotel group's boutique brand, it will have 138 individually styled rooms that aim to capture the history of the neighbourhood through design and artwork, with Wan Chai's shops, markets, restaurants and bars at the doorstep. FANS of the Sentosa resort at Seminyak will be pleased to learn the visionary behind the property, Saxon Looker, has called on designers from around the world to create a series of luxury apartments at Bali's Echo Beach in Canggu. The result is a blend of contemporary Italian and Balinese design, featuring vertical gardens, a Beach Club and beachfront restaurants. There is also a Sea Sentosa Centre with cafes, a delicatessen, spa and gym. It will offer one and two-bedroom apartments and three-bedroom penthouses overlooking the beach or the resort lagoon, which spans three Olympic-sized pools. In an area popular with surfers, the resort is 45 minutes from the airport, 15 minutes from the Greg Norman-designed Nirwana Golf and Country Club and 14 minutes from Seminyak. OPPOSITE a tropical botanical garden in China's Yunnan province, the Anantara Xishuangbanna Resort & Spa is set to open in January. The first and only 5-star hotel and pool villa in the Xishuangbanna prefecture, the hotel will highlight the cuisine of the ethnic Dai tribe in its cooking classes. It is in the southern part of the Hengduan Mountains, where the Lancang River becomes the Mekong, popular for mountain hiking, bird and wildlife spotting, and boat trips along the Luoso River. The property will also have a tea guru, who can take guests to tea plantations. PART of the new Bay Central development on the Dubai marina, this hotel will have panoramic views of the cityscape and Arabian Gulf. The InterContinental Dubai Marina will have 132 hotel rooms, as well as 196 residential suites, including studios and one, two, three and four-bedroom apartments. It will also have an exclusive Club InterContinental, eight restaurants, bars and clubs, and a spa and health club. The hotel is due to open by the end of next year. It is within walking distance of Jumeirah Beach. AFTER being restored to its original grandeur with a $52 million revamp, the Oak Bay Beach Hotel in Victoria on Canada's Vancouver Island will reopen early next year. Rebuilt on the grounds of the original hotel opened in 1929, the luxury resort hotel and spa will have 100 waterfront rooms, all with at least one gas fireplace, in a manor house between the Victoria Golf Club and Oak Bay Marina. It will feature an onsite theatre, three seaside mineral pools cascading into the ocean, a spa, dinner theatre and the Snug Pug pub, which will be re-created using touchstones from the original establishment. BANGKOK'S newest hotel, Mode Sathorn, will feature a dramatic roof deck and pool and rooms with floor-to-ceiling windows. Due to open in January in the city's entertainment, embassy, shopping and business district, the Siam@Siam hotel group's latest project will have 201 rooms and suites across 38 storeys. Rooms and suites will be offered in five categories and mix Western concepts with Thai-Oriental style in the architecture and art. Dining options include a bakery, bistro and bar, Rice & Chilli Thai cafe and The Sathorn international restaurant. OPENING in July, the Sofitel So Singapore will be located in a heritage building with a neo-classical facade in the heart of the city. Part of the Sofitel brand's designer boutique label, it will have 134 guest rooms, including 23 suites. The hotel will be created with input from a yet-to-be-announced signature designer with a strong focus on art and design. The CBD hotel will be walking distance to the Marina Bay area and minutes from the Orchard Rd shopping belt. THE Sheraton name will return to Melbourne in November next year, with a 168-room hotel opening as part of the 27 Little Collins redevelopment project. Dubbed "where Paris meets Melbourne", the development will be on the site of the Naval and Military Club and will also include private residences and boutique retail stores. Hotel facilities will include an indoor heated swimming pool, fitness centre, spa, lobby lounge bar, an all-day dining restaurant and bar, as well as a signature restaurant.